Established in 1998, Pingtan Island National Forest Park is a national park in Pingtan, the island city in Fujian province. The park houses a forest running along a sandy beach. 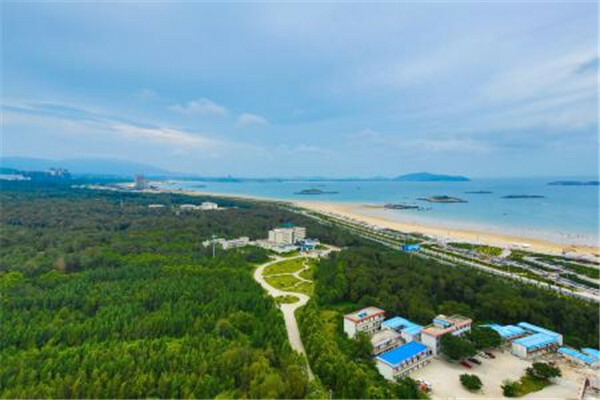 Approximately 120 kilometers from Fujian province's capital, Fuzhou, the 1,295-hectare park has become one of Pingtan's most popular tourist resorts. At the north of the park is Junshan Mountain, the highest mountain in Pingtan. Visitors can catch a panoramic view of the park from the mountain top. In its southeast corner is Longfengtou Beach, the largest natural bathing beach in China. Facing east, Longfengtou is a wonderful place to enjoy the beauty of the sunrise over the sea. Additionally, there are two natural freshwater lakes in the park. Surrounded by luxuriant trees, the two lakes have become wonderful destinations to go boating or fishing.